Surprised, if not dismayed, to discover from his superior, Vice-Questore Patta, that leaks are emanating from the Questura, Commissario Guido Brunetti is surprised more consequentially by the appearance of a friend of his wife's, fearful that her son is using drugs and hopeful Brunetti can somehow intervene. 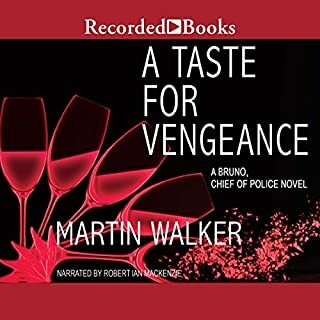 When Tullio Gasparini, the woman's husband, is found unconscious and with a serious brain injury at the foot of a Venice bridge at midnight, Brunetti is drawn to pursue a possible connection to the boy's behavior. But the truth, as Brunetti has experienced so often, is rarely straightforward. An examination of Gasparini's home office reveals a number of strange coupons in his elderly aunt's name from a local drugstore, which over time reveal a long-running scam. As the 27th novel unfolds in Donna Leon's exquisite chronicle of Venetian life in all its blissful and sordid aspects, Brunetti is ever more impressed by the intuition of his fellow Commissario Claudia Griffoni and by the endless resourcefulness and craftiness of Signorina Elettra, Patta's secretary and gatekeeper, and reminded of the ever-lasting virtues of his own family. 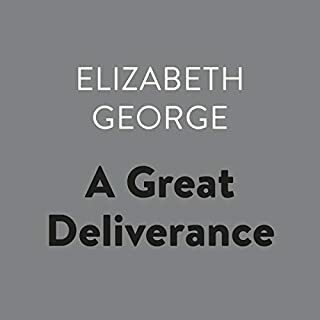 His intellectual pursuits lead him to study Sophocles' play Antigone, so revealing of the unintended consequences that can erupt from bad decisions - and tempt him to consider at least personal forgiveness for a crime from the heart gone bad. This was the 27th book in the Commissario Guido Brunetti series and he continues to be intriguing, engaging, likable, and usually very much on target. 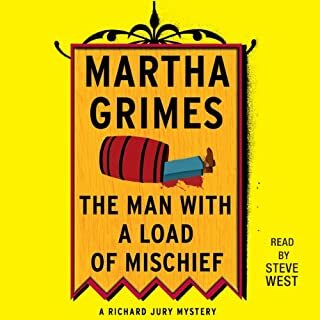 In this story, he is not as much on target as in past books and the story seems to meander around while he tries to figure out how an accountant wound up under a bridge with a concussion a week after his wife came in asking if the police could do something about drug dealer at her son’s school. Coincidence? He investigates but finds no drug dealers. He decides to look into the background of the victim to see if his past could be the cause of the fall/push off the bridge. The story involves more interaction with Brunetti and Electra and even Patto, his boss. The story shows the side of Venice that only those who live there see. The corruption of the health care system is exposed and the difficulty of dealing with the state. You walk around the city in Brunetti’s shoes and listen to conversations between Guido and Paula and his kids. The story moves at a slower pace that earlier ones but you are still swept up into the world of policing in Venice. The rhythm of the city and the interaction between the main characters all demonstrate a slower life style. It is not as intriguing to me as past stories but it is essential to the continuity of what makes Brunetti the most engaging detective since Poirot. 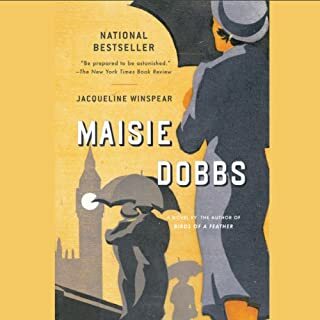 I chose to listen to the audible version read by David Colacci and enjoyed it very much. He has become the voice of Brunetti. Brunetti continues to explore human behavior with increasingly complex and nuanced consideration of himself, his colleagues, and the people related to the crimes he is investigating. His reflections on his judgments, decisions, and actions provide encouragement and sometimes a template for us to apply to ourselves. Well normally I am a great fan of Donna Leon’s books I found temptation of forgiveness to wander all over the place. I also found the use of accented Italian to be distracting, although the narrator an impressive job switching from one Italian character to another. Perhaps I would’ve enjoyed it more in print. I have always really enjoyed this series. I ranked Donna Leon among my favorite authors. I don’t know what happened but this story just went on and on about nothing. He said. She did. They walked. Did I hear somewhere that Leon is writing with someone else? I feel terrible about this sad ending to a wonderful series of engaging and entertaining stories. I love Guido Brunetti and his family and his colleagues and his city. I miss him. Delightful Donna Leon at her best. 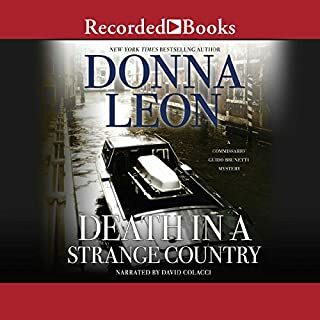 Always a delight to come upon another Donna Leon mystery set in Venice and featuring the always charming and intuitive Com. Guido Brunetti. 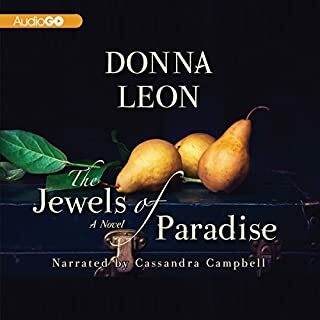 I am such a big Donna Leon fan, and was looking so forward to listening to this book; I had pre-ordered in anticipation. Well, the narration is so absolutely awful that I just cannot listen to it. Very disappointing. I love Guido Brunetti and I will continue to read these, in part because the city of Venice is always and important character, but this one was actually rather boring and the ending was anti-climactic. Donna Leon delivers a beautiful story once again ,if such can be said of a mystery. David Colacci narrates perfectly again. sophocles' orestaia is a constant theme of the book. the law of the state vs the duties to family.